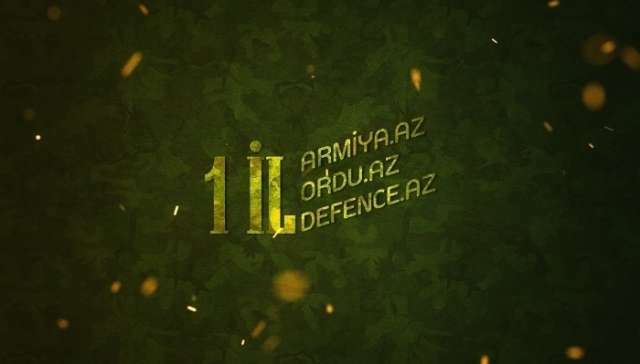 Today one of the special websites in Azerbaijani media, armiya.az/ordu.az/defence.az celebrates its first year anniversary. The website broadcasts news in three languages and has become the main source of military news throughout the year. Readers are presented interesting news, analysis and researches in three languages. The website takes important steps on promotion of Azerbaijani power as well as, Azerbaijani Army and Military Industry. Furthermore, website plays a vital role in encouraging the young generation for patriotism. Besides, the role of website is of utmost importance for exposure of the fake Armenian propaganda by disclosing the Armenian lies and its occupational policy to the world community. We wish good luck and new victories in their missions!